Your Oyster Recipe of the Day: Oysters Rockefeller with Swiss Chard and Pancetta. 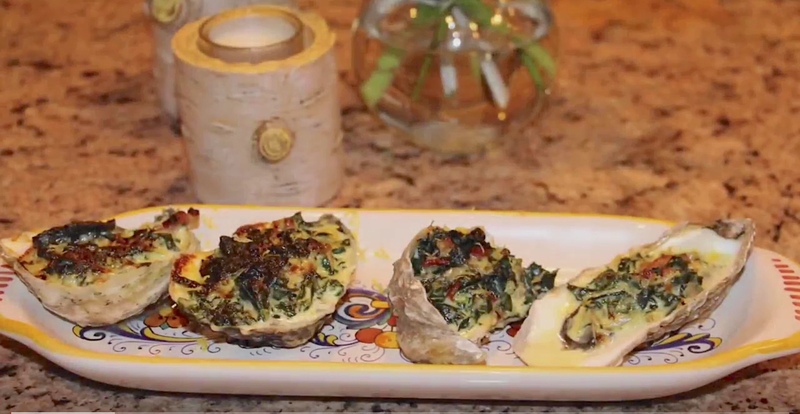 Chef Michele Ragussis joined the Greater Boston Gala Girls show to make a fantastic, five-ingredient oysters Rockefeller for New Year’s Eve. Instead of spinach, Michele likes the texture of green Swiss chard.